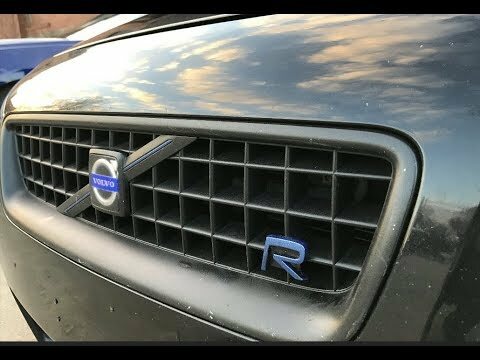 Personal review on Volvo s60 year 2004. Interior cream leather is extremely comfortable with heated seats. Sun roof is lovely. Wish there was a bit more room in the backseat area but the car rides great. Gas mileage is not awful, but does require/prefer premium fuel. I have had to replace the throttle positioning sensor which was inexpensive but when that went wrong, the car was not driveable. Overall I love the car, love Volvo. They make very strong and reliable vehicles. My s60 currently had over 172, 000 miles and is running like a champ. Will run forever with little upkeep. Excellent performance. . . One of best brands built runs for many more than average cars not unusual for Volvo to have well over 300, 000 miles on it. . Solid quiet engine powerful engine good gas mileage incredibly comfortable drive. . . The car of the e intelligent free thinker that's outside of the box drive these cars. . . Subtle simple style understated luxury. One of top cars on the road proud to drive and 'proud to be seen driving reeks of understated success. Nice, comfortable Volvo, needs to be taken into shop. My car is grey, it has heated leather seats. My battery is in the trunk and it is sometimes a pain. I think my transmission is going out so it keeps stalling on me, but other than that it is reliable. It is very comfortable to sit in and drive. It has a sunroof, witch is really nice. The back seat is a bit small so when my friends sit in the car it is a bit hard to fit them in there. ON CERTAIN PASSENGER VEHICLES, THE FRONT CONTROL ARMS MAY NOT HAVE BEEN MANUFACTURED CORRECTLY AND, AS A RESULT, THE STUD AND NUT THAT SECURE THE ARM TO THE SPINDLE MAY LOSE THEIR INITIAL AXIAL TENSION. UNDER CERTAIN DRIVING CONDITIONS, THE STEERING MAY BECOME LESS RESPONSIVE AND THE DRIVER MAY EXPERIENCE STEERING WHEEL PLAY. THIS DRIVING CONDITION COULD EVENTUALLY LEAD TO SEPARATION BETWEEN THE FRONT CONTROL ARM AND THE SPINDLE, WHICH COULD RESULT IN A CRASH. DEALERS WILL INSTALL A NEW TYPE OF NUT. OWNER NOTIFICATION BEGAN ON FEBRUARY 16, 2004. OWNERS SHOULD CONTACT VOLVO CARS AT 1-800-458-1552.